Last December, I wrote about a Judy’s pick, TDSC, at around $31. 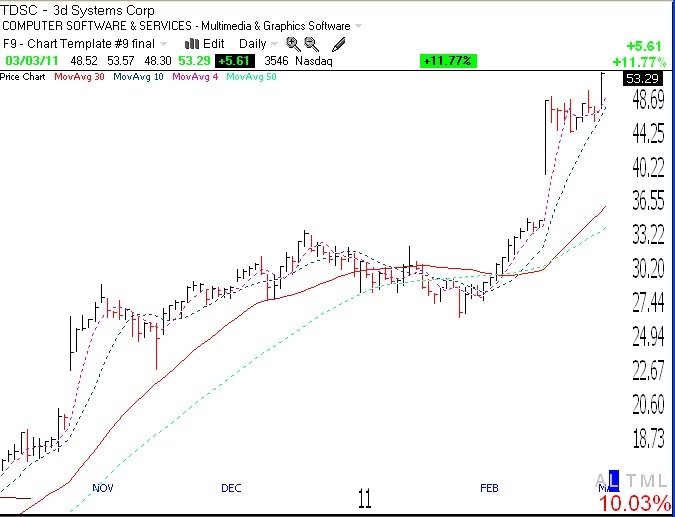 Yesterday TDSC rose 10% to $53.29, an all-time high. My stock-buddy, Judy, researches “concept” stocks, and finds more future winners than any other person I have ever met. ok dr> how about a post on judy’s criteria to find stocks. she must have given some of it to your students. how about your readers?thanks. I am hoping to post an interview with Judy later this month. Her technique is based on technical analysis combined with concepts. She thoroughly researches a company, including its products, industry, patents, intellectual property and research. She then makes an assessment and times her entry using technical analysis. She is willing to buy early and to wait for things to go her way. 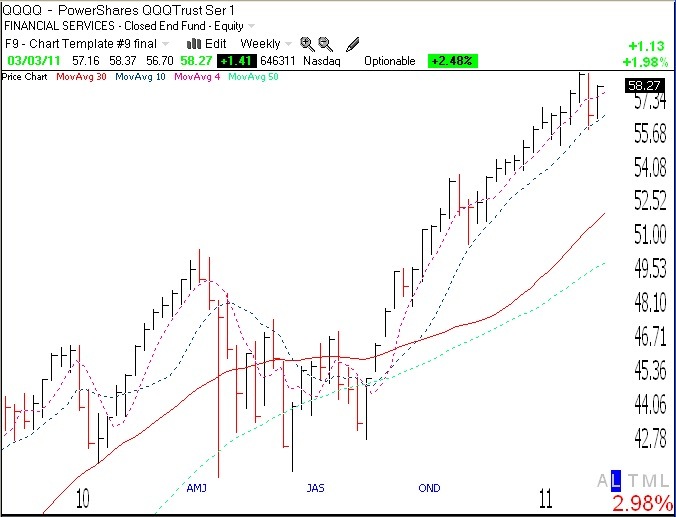 I really like this approach that Judy takes for long term trades on weekly charts, but not so much for swing trading. I am hoping to learn how she conducts her research on companies.